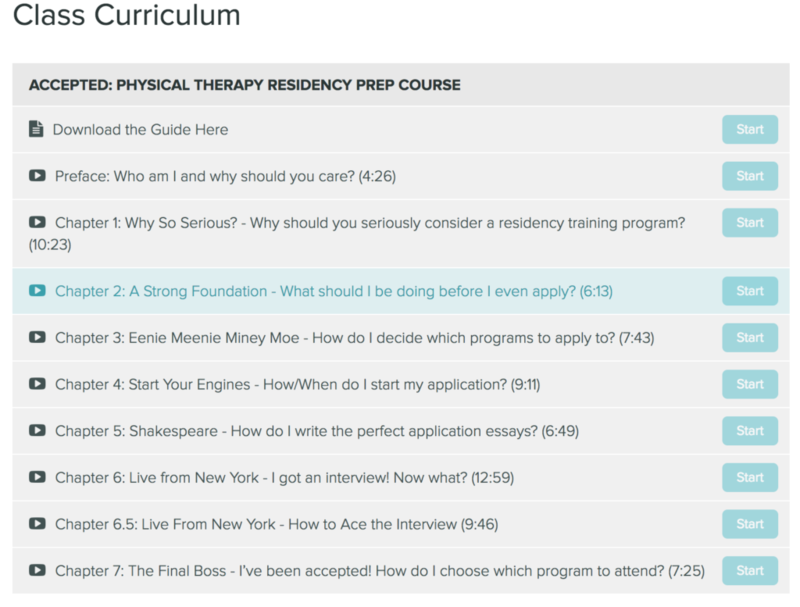 Do you want to be rejected from Physical Therapy Residency? Of course no one wants to be rejected from a residency program! Unfortunately, nearly 45% of students who apply to Physical Therapy residency programs will be rejected each year. 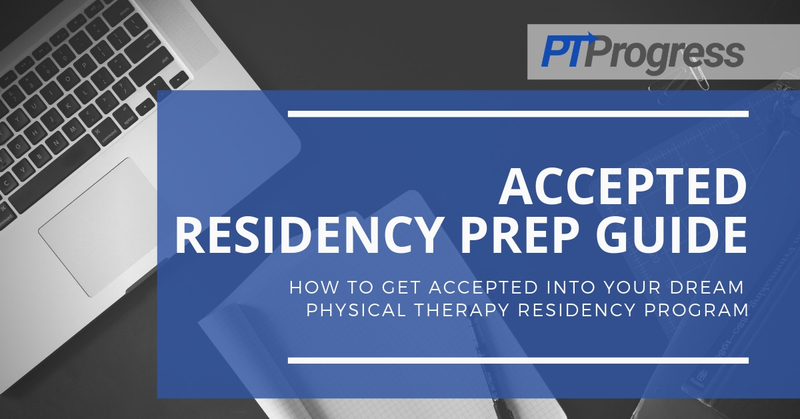 What if there was a way to get accepted into a Physical Therapy Residency the first time? ACCEPTED is a program that equips Physical Therapy students and graduates who want to be accepted to a Physical Therapy residency the first time. The ACCEPTED program is designed for PTs who absolutely must get into a residency the first time. You won’t take no for an answer and becoming a specialized Physical Therapist is your dream. 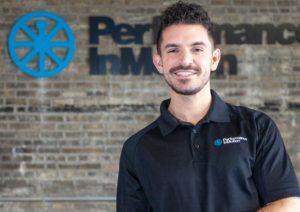 The program is also ideal for the PT grad who has been previously rejected from PT residency and needs help refining their application and preparing for the in-person interviews. Not too long ago, I was a Doctor of Physical Therapy Student sitting in your shoes. After a few clinical rotations/experiences, I wondered what the heck I was going to do after graduation, how I was going to differentiate myself from the thousands of new graduates who would be flooding the workforce in the upcoming year, and if I had made the correct choice in healthcare professions. Within the next four years I would go on to complete a competitive neurologic residency program at Emory University, become a Board Certified Neurologic Specialist, land a job on the faculty of Washington University in Saint Louis, take over the vestibular curriculum of a DPT program, collaborate with some of the brightest minds in medicine, and open up my own outpatient neurorehabilitation clinic in Chicago. Well honestly a ton of hard work, a little bit of luck, and kind of making it up as I went. The basis of all of this success was the invaluable experience that I gained during my residency. I honestly feel like my year of specialty residency training/mentoring put my 15 years ahead of my PT school classmates and gave me the confidence to take my career to the next level. But getting accepted into a top residency is extremely difficult and I DON’T WANT YOU TO HAVE TO WING IT! Early on in this process I had close to no guidance, frequently felt lost, and learned from MANY failures along the way. The purpose of the ACCPTED course is to give you a step by step guide on how to go from square one, to answering that acceptance phone call from a residency director. Learn from my successes, my failures, and my insight. Please do not think you need to follow this guide verbatim. Mix my tips and tricks with your own personal style/flair to give residencies the best picture of your unique awesomeness. Do you want to be ACCEPTED this year? The ACCEPTED program was designed by PTs for DPT students and graduates who are serious about getting into PT Residency the first time. What’s Included in the ACCEPTED Program? Why should you seriously consider a residency training program? What should I be doing before I even apply? How do I decide which programs to apply to? How/When do I start my application? How do I write the perfect application essays? I’ve been accepted! How do I choose which program to attend? Next year you’ll either be immersed in a residency program or reapplying. I want you to be the PT grad who was ACCEPTED to a top residency the first time! You’ve worked too hard to be rejected. It’s time you stand out and get the acceptance letter you deserve. Let’s make it happen, shall we? 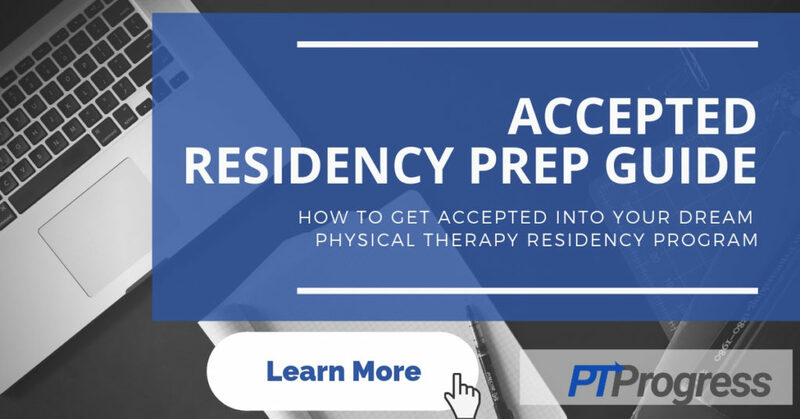 Sign up for the entire ACCEPTED Physical Therapy Residency Course below.